We don't track your choices of stories, and we don't tailor the news that we show you based on your prior choices, so you don't get trapped in a Filter Bubble. 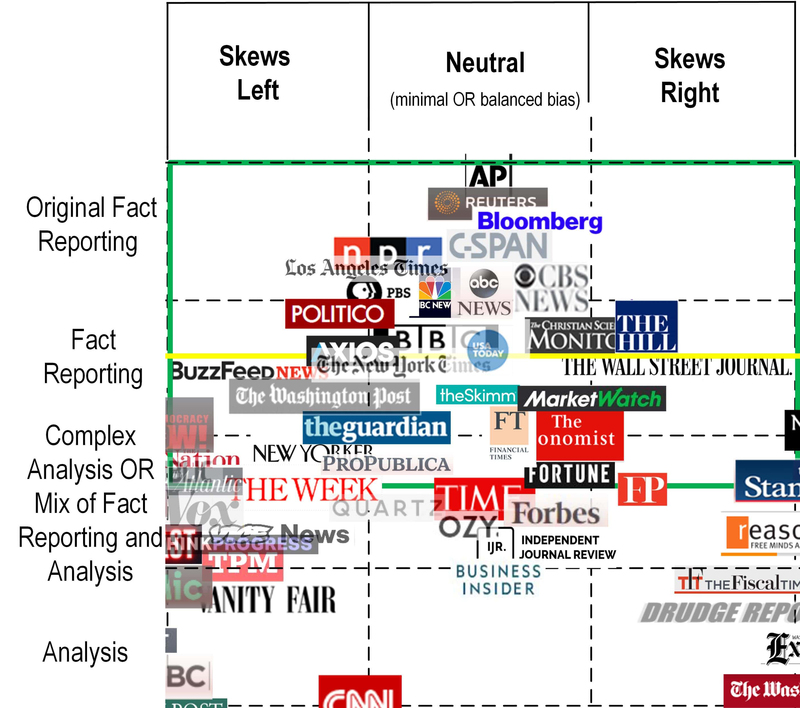 And by avoiding the sources in the lower portion of the chart (or not on the chart at all), we help you to steer clear of inaccurate or misleading stories, unfair persuasion, propaganda, and outright false or fabricated stories. We also allow you to de-select individual sources. This can be useful if you have reached a monthly free article limit for a particular source and don't wish to see their article headlines (although we encourage you to subscribe to your favorite sources). Usually you will find other news sources covering the same stories. To de-select a source, just go the Settings panel (first button at the top left of the screen) and uncheck the box of that source. 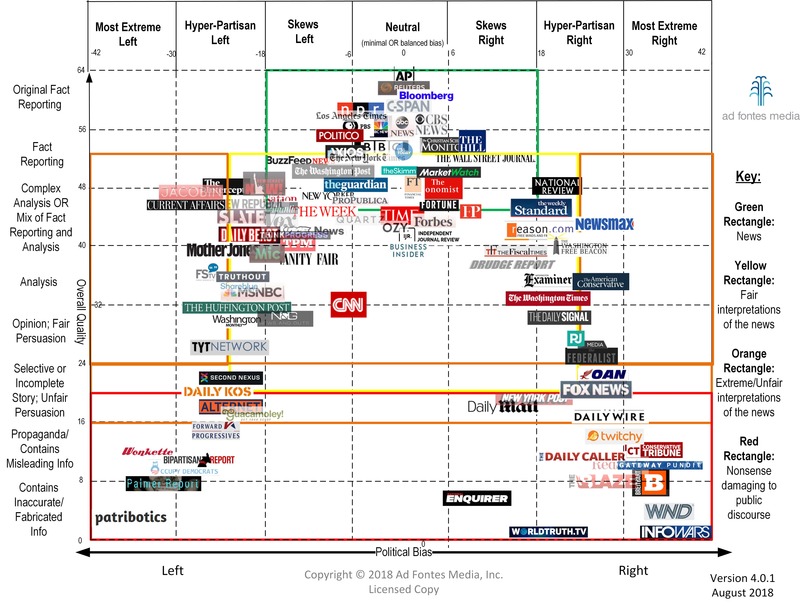 New users of Neocortix News will notice that CNN is available but de-selected by default, because of its lower position in our acceptable range on the Media Bias Chart.